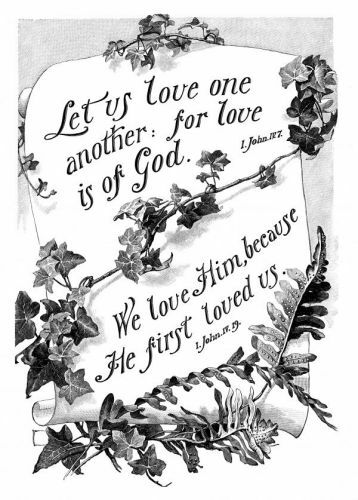 Description: A black and white drawing of the Bible quotes- Let us love one another, for love is of God. John IV-7. We love Him, because He first loved us. John IV-19.